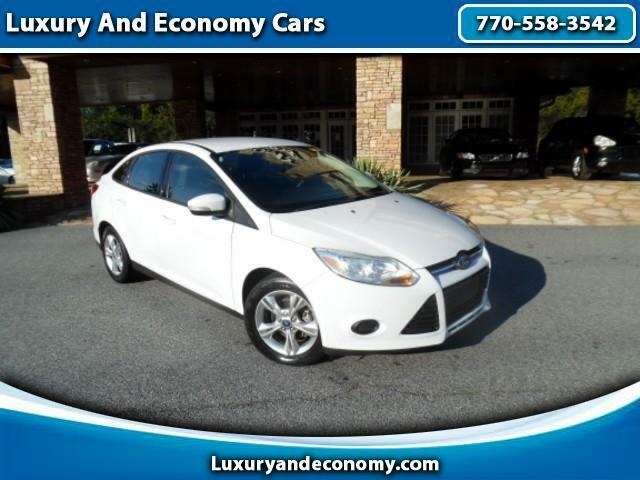 Visit Luxury And Economy Cars online at Luxuryandeconomy.com to see more pictures of this vehicle or call us at 770-558-3542 today to schedule your test drive. Message: Thought you might be interested in this 2013 Ford Focus. WE OFFER GUARANTEED IN HOUSE FINANCING FOR EVERY ONE , APPLICANT MUST HAVE THE REQUIRED DOWN PAYMENT , PROOF OF INCOME PROOF OF RESIDENCE AND GEORGIA LICENSE . Down payment is Due at signing plus tax title and fees , Down payment assistant or pick up notes are available see dealer for details .Selling price for cash sales only , Our company is designed to provide automotive Financing to individuals with less than perfect credit. Our program has been designed for customer success! We provide our customers with affordable monthly payments and reasonable terms. We emphasize three basic principle: honesty, communication, and mutual respect. We realize no one is perfect and everyone needs a second chance. That is where we come in. We can qualify you for an in-house loan in just minutes. Just show us where you live and work. Its that easy. WE OFFER GUARANTEED FINANCING FOR EVERY ONE , APPLICANT MUST HAVE THE REQUIRED DOWN PAYMENT , PROOF OF INCOME PROOF OF RESIDENCE AND GEORGIA LICENSE . Down payment is Due at signing plus tax title and fees , Down payment assistant or pick up notes are available see dealer for details .Selling price for cash sales or with approved credit only . No credit check buy here pay here will be more , Our company is designed to provide automotive Financing to individuals with less than perfect credit. Our program has been designed for customer success! We provide our customers with affordable monthly payments and reasonable terms. We emphasize three basic principle: honesty, communication, and mutual respect. We realize no one is perfect and everyone needs a second chance. That is where we come in. We can qualify you for a loan in just minutes. Just show us where you live and work. Its that easy.